This is a great all natural toy. 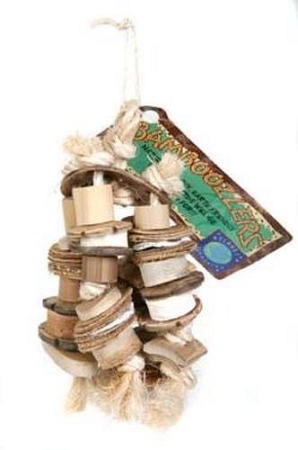 Each toy has a variety of pieces and textures ranging from soft cuttlebone and coconut husk to bamboo to hard coconut and oyster shells all hanging on sisal rope. A great choice for intermediate to medium-sized birds.